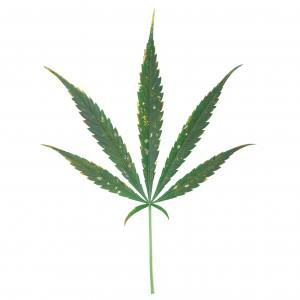 The cannabis plant absorbs magnesium in ion Mg+2 form, being this the magnesium formulation normally found in most soils. Thus, the absorption of this nutrient will be determined by the available form of this element in the substrate for marijuana plants. It’s important to find a balance between the available and the unavailable magnesium in the soil. Unavailable magnesium still hasn’t been transformed by the microbial life yet, so plants can’t absorb it. It’s important to know the amount of magnesium available for the plant (which is very difficult to know without analyzing the substrate). Then, how should we proceed when growing in soil/hydro to have the magnesium levels in the substrate under control? As it’s a mineral, we can supply our plants with it by using a mono-nutrient in Mg + 2 form or other products high in Mg, so we achieve a direct uptake by the roots without having to wait for the microbial life to transform it into assimilable elements for the plant. If the Ph range of the substrate is lower than 7.0, then magnesium can be easily absorbed by cannabis plants. But if the soil is very acid – lower than 5.0 – magnesium won’t be assimilable by the plants. In this case, we should increase the Ph level of the substrate by using limestone dolomite. There are other products on the market that contain magnesium in case of not having limestone dolomite to mix with the substrate. As magnesium is a mobile element, any deficiency of this nutrient will be first visible in the oldest leaves and those of the lower part of the plant. As the deficiency advances, the central part will also be affected. 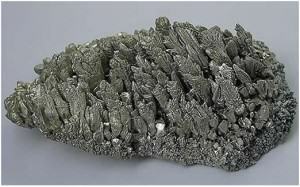 Magnesium – as nitrogen – is easily flushed through abundant watering. If we wash the roots to solve other other nutrient excesses (N, P, K) we must add magnesium and calcium to maintain a correct nutrient balance. Normally, growers use two parts of Ca for one of Mg (EC=0.4). It’s important to note that there are other factors that may reduce or lock-out the magnesium uptake, such as a permanent humidity, low temperatures, or acid and cold substrates. If our substrate is costantly humid, we will proceed to put a fan in the growing space pointing directly to the pot’s substrate, thus providing a more dry substrate and improving magnesium uptake. And, of course, we won’t water our plants so ofently. Once the substrate has the correct humidity level, we should adjust the amount of nutrient solution per irrigation to favour Mg absorption while avoiding a possible root rot, which is usually very harmful – even deadly – for cannabis plants. These cases are more usual in indoor crops, especially when temperatures aren’t well controlled during the night period. To solve this problem, we should install a heat source to raise the temperature of the growing space to a minimum of 18 °C during the night period. In this way, the development of plants is not slowed down and we solve the problem in regard with magnesium uptake. Remember that during the flowering stage, plants need a lot of nutrients such as phosphorus, potassium and of course magnesium to develop large flowers and the original smells and flavours naturally present in the plant. Many of the deficiencies that we can observe during the flowering period are given due to an excess with the bloom fertiliser. Most fertilisers for this phase contain high amounts of phosphorus and potassium: it should be said that potassium and calcium are two nutrients that can cause magnesium lock-out when added in excess. Usually, this lock-out occurs during the first weeks of flowering – when the plant is creating buds – approximately during the third-sixth week of flowering, depending on whether it’s an Indica or Sativa strain. During these weeks, and if we use too much fertilizer, we’ll cause an excess of potassium (K) that will block the absorption of magnesium (Mg). To solve this nutrient imbalance, flush the roots to lower the nutrient excess in the substrate so that the plant can absorb Mg again. It’s also necessary to emphasize that the deficiency often appears because the substrate doesn’t have enough Magnesium; in these cases, we should provide our plants with magnesium during the above-mentioned weeks, either directly in the soil – by adding limestone dolomite – or through irrigations, using a Mg supplement in he nutrient solution and via foliar with a Ph level of 7.1. You’ll notice a quick recovery of marijuana plants. 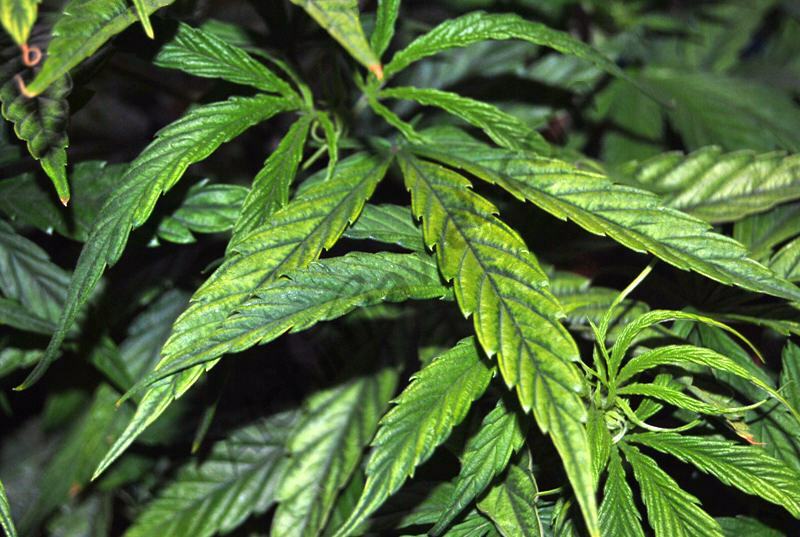 How to quickly detect a Mg deficiency in cannabis plants? How to quickly detect a Mg excess in cannabis plants? Its detection is difficult since having magnesium excesses is rare as long as we use substrates suitable for growing marijuana. 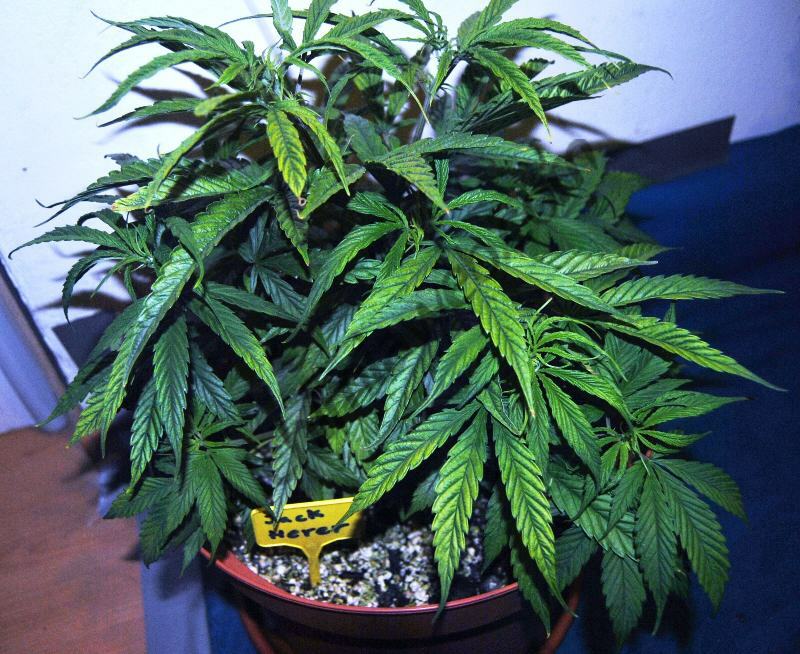 If the lower parts of the plant – the oldest leaves – are turning yellow, then it’s more likely that your plants have nitrogen deficiency. When plants need nitrogen to produce new shoots and can’t find it in the soil they use the nitrogen stored in their fan leaves. Also, keep in mind that excess magnesium causes calcium lockouts, so once your plants are flushed remember to use a fertiliser with calcium. Hi, yes it looks like it to me too. You could try a foliar spray of epsom salts and top-dressing the soil with some dolomite lime and see if that helps. Best of luck! I’m not sure what exactly is going on with my Autoflower I did alot off Lostwithiel this lady to get the bonsai affect, but after all that about three weeks and I also tim it twice its is now almost 6 weeks in veg, but now my plants leaves are turning yellow and very purple stems I’m also thinking Mag but I’m not sure it has seemed to have started from the top any help would be much appreciated. Hi John, thanks for your question. Without knowing the substrate and nutrients you’ve used it’s hard to say what the problem could be, it may be a deficiency or the purple stems could be from cold temperatures. However it could simply be stress of some kind due to the training and pruning you’ve done. We don’t recommend doing training or pruning on Autos, they are simply too short-lived to benefit from these processes. Because these plants hove such short lives, they don’t have enough time to recover from pruning etc, and unfortunately anything at all that slows them down or restricts their growth is going to affect yields negatively. I’d recommend just letting autos do their thing and save LST and other training/pruning techniques for photoperiod plants that will have time to recover before starting into flowering. All the best! Sorry typo there, in did LST training….. I am into the third week or so of flowering, using coco with four stains, Granddaddy Purple Seeds and its clones seem to have no problems what so ever. Cheesecake seems to have the worst luck on this run, uneven leaves, small leaves, chlorosis and some purple stems. Chronic Thunder is a close run to the Grandaddy Purple. The Acapulco Gold is very strong, but slightly burned tips and purple stems. I’m using Hydroguard, and this feeding. • Give enough water for 10-20% runoff, and always remove runoff! I have tilt tables with perfect temps and humidity. Why would I have some of these crazy problems on some plants? I can only think of maybe not letting the coco dry for long enough, and that is controversy. I’m keeping ph at 6 to 6.1 and around 700 ppm average. I did have a lower ph for a while but read the mag needed to be in the range I’m in. Have any clue what I’m doing wrong? Magnesium is absorbed as the Mg2+ ion and is mobile in plants, moving from the older to the younger leaves. It leaches from the soil like calcium and potassium. Magnesium is the central atom amid four nitrogen atoms in the chlorophyll molecule, so it is involved in photosynthesis. Manganese is one of nine essential nutrients that plants require for growth. Many processes are dependent on this nutrient, including chloroplast formation, photosynthesis, nitrogen metabolism and synthesis of some enzymes. This role of manganese in plants is extremely crucial. If top leave look good and lower leaves are yellow, it is magnesium.